My car is missing. I think it was impounded. How do I find it? Calling each of the dozens of wrecker services in Oklahoma City is very time consuming and frustrating, both for you and the wrecker service. There’s a better way. If your car was impounded from private property, look for towing signs on the property, or ask the property owner which wrecker service they used to tow your vehicle. 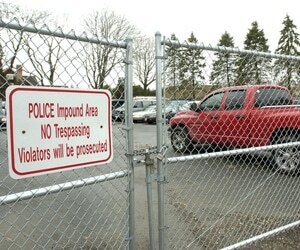 If that doesn’t work, you can call whichever police department has jurisdiction in the place where your car was towed. All wrecker services notify local police and the Department of Public Safety whenever a Private Property Impound is performed. If you have reason to believe that your car has been repossessed, please don’t call every wrecker service in town trying to find it. In Oklahoma City, most repossession firms aren’t listed publicly, and most publicly listed wrecker services don’t do involuntary repossessions. You need to call your lender and ask them if your car was repossessed. Oklahoma Department of Public Safety has a web page where you can search for your vehicle by VIN. This will tell you the location of any vehicle that has been reported to DPS by a law enforcement agency. Click here for the Oklahoma DPS stored vehicle finder webpage. Oklahoma Towing & Recovery has my car. What do I do to get it back? Your vehicle will begin to accrue storage charges as soon as it arrives at our state impound facility. The cost to claim your impounded car will increase at midnight each day that it is in our custody. Proof of Ownership (Title, or Registration printed in the last 7 days. Any tag agent can help you with this for a nominal fee. An insurance verification is not acceptable as Proof of Ownership. If your tag is expired or missing, you must bring current registration and tag (sticker). If the vehicle was impounded by Warr Acres Police, OU Police, or The Village Police, you will need to obtain a release from that police department before claiming your car or any contents. Also, please note that if you wish to redeem your vehicle outside of normal business hours, an After Hours Release Fee will apply. It is not a difficult process. Show us you own it and it is legal to drive, pay your bill and take it home. AFTER 30 DAYS FROM THE IMPOUND DATE, VEHICLE FORECLOSURE WILL OCCUR UNDER OKLAHOMA STATUTES, TITLE 47 § 908 – AND YOU WILL LOSE THE RIGHT TO CLAIM THE VEHICLE. HOWEVER, IN ACCORDANCE WITH OKLAHOMA STATUTES, TITLE 47 § 904 – YOU WILL STILL OWE ANY REMAINING BALANCE DUE FOR TOWING AND STORAGE AFTER DISPOSAL OF THE VEHICLE. We want you to get your vehicle back. 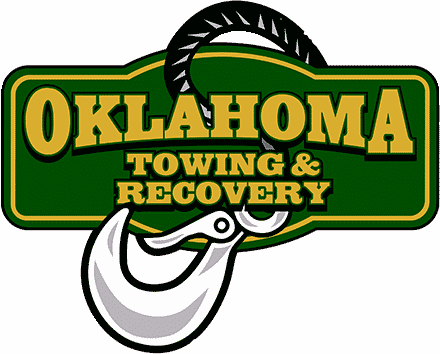 Contact Oklahoma Towing & Recovery immediately at 405-896-0606 to arrange to claim your impounded vehicle. If you are an out of state owner and wish to release your vehicle to someone else who is here in OKC, you will need to print and fax a notarized Absentee Authorization and Hold Harmless Agreement (download this form in Adobe PDF format below). Please follow the instructions on this form, as we must have this to comply with Oklahoma State Law. Failure to complete the form or to have it notarized will result in denial of the release.